Thank you for visiting Hirakata Now. Hirakata Now provides you with various and useful information regarding Hirakata City. I hope this website would be helpful for you to learn Hirakata City. Hirakta City Hall (HCH) publishes a city guidebook titled “We Love Hirakata” for foreign residents to learn daily life in Hirakata. The guidebook introduces what HCH can do for foreign residents and provides various information regarding school, bin collection, taxes, national pension and so on. It is written in English, Chinese, Korean, Spanish, and Portuguese. “We Love Hirakata” is available at HCH or Hirakata Fundation for Culture and International Exchange. Or, you can also download it from the HCH’s official website (PDF). Please use the guidebook for your daily life in Hirakata. A new city pamphlet has been published on April 1st 2016. 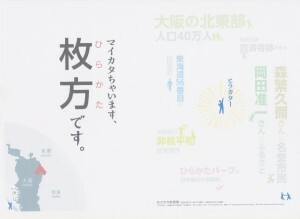 The pamphlet briefly introduces Hirakata’s town profiles, seasonal events, and social activities. Furthermore, the Japanese version contains special messages from the celebrities relating to Hirakata City. The pamphlet is available not only in Japanese but also in English, Chinese, and Korean. You can obtain the pamphlet at Hirakata City Hall and city branch offices. If you want to download all types of the pamphlet. Click the following languages you want to read (Japanese, English, Chinese, and Korean). 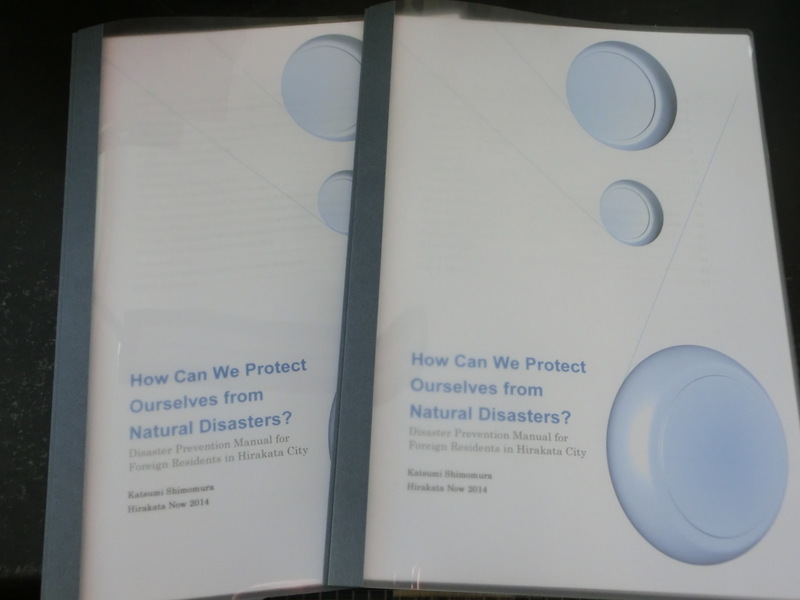 Hirakata Disaster Prevention Manual: How Can We Protect Ourselves from Natural Disasters? 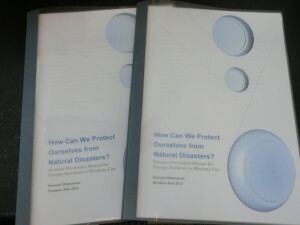 Hirakata Disaster Prevention Manual titled “How Can We Protect Ourselves from Natural Disasters?” has been completed. The manual introduces what to do in natural disasters and how to evacuate to a local shelter. It is downloadable in a form of PDF. To download, please click here. Hirakata City Hall has started a free interpreter service for foreigners who need medical care at hospitals and clinics. The service dispatches a voluntary interpreter who have has taken part in training programmes for a medical interpreter to a medical institution. To use the free interpreter service, apply at the medical institution where you see a doctor. For further information about the interpreter service, visit HCH’s website (Free Interpreter Service for Medical Needs) and a leaflet about the free interpreter service. The leaflet is available at Kenko Somuka located on the 2nd floor of the HCH’s annex building.